I'm going to the village, Kampala has failed me. Give me some ideas on how I can sail through in Uganda, so many people here don't wish other's well. The just released socialite was on Facebook live chatting with his followers while enjoying his expensive drinks. He was relating his current condition to Red BANTON's song of Kikumi Kinana (180). 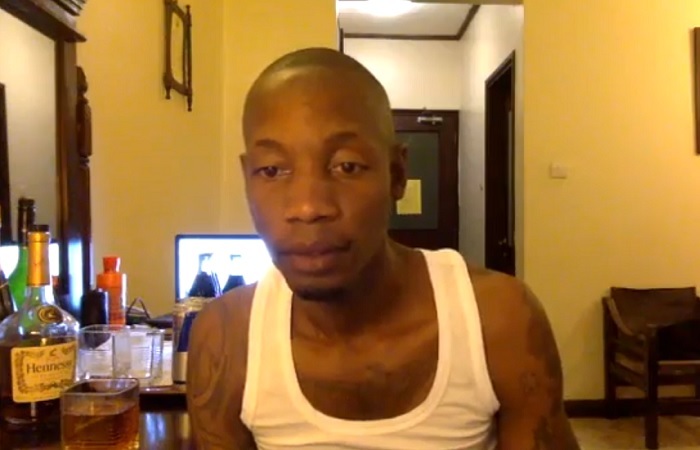 Bryan White was remanded for three weeks at Luzira prison, where he spent his Christmas and new year, he is now out on bail and will be reporting to court on (Jan 30) for the attempted murder case he is battling with. He was arrested alongside with his bodyguard Thomas Ojok. Trust him, he changed the showbiz game. When he hit the scene three months back, he had warned all those 'BaSummers' who had come for the holiday that no one would leave an impact like he was about to do, and indeed, no one measured up. In the three months he had been around, Bryan White had given out close to 100million that we could verify, but also dished out a lot more that we were not able to verify. 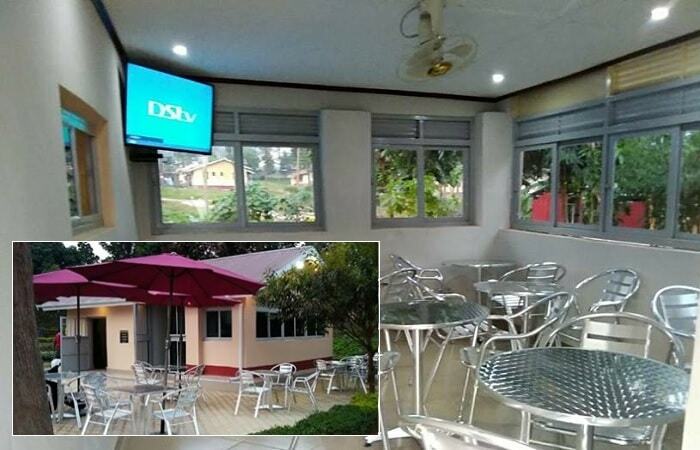 Whatever was meant to be given out during the Christmas season was spent on renovating the Luzira Prison Canteen as you can see from the 'Before' and 'After' pics. 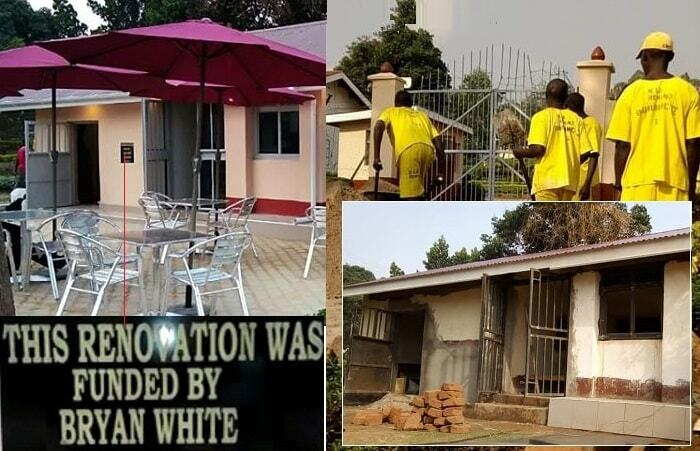 "Like it has been said, the Bryan White Foundation managed to renovate the Luzira prison Canteen, We believe the prisoners too deserve to live a comfortable life just like any other free Ugandan, "Bryan White noted.